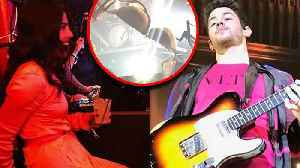 Nick Jonas' Fan Throws Bra At Him During Concert, Priyanka Chopra Hands It Over To Hubby. 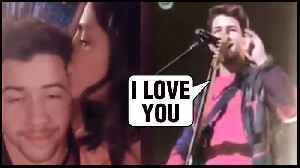 Amidst Divorce news, #NickJonas says ‘I Love You’ to #PriyankaChopra in sign language during stage performance. Priyanka Chopra cheered for husband Nick Jonas as she attended her first..